Whether your experience with herbs is as simple as drying lavender for a sachet or as involved as growing a culinary garden, Easy Herb Gardening will be your go-to guide to getting the most from herbs and making them a part of your everyday life. 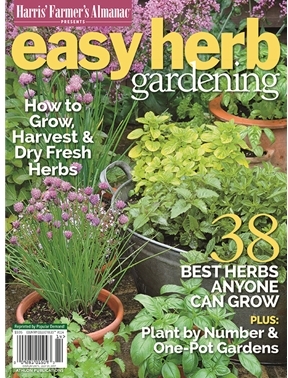 *Beginners will learn herb basics and how to grow them. We've also included an encyclopedia of the most popular culinary and crafting herbs for easy reference. *Plant an herb garden using one of our easy-to-follow designs. You'll find options for planting in single containers and small-space plots or learn how to incorporate them into your flower beds. *Discover new recipes for herbal smoothies, teas, pestos and even cocktails to make meals more special. And if you haven’t had time for a spa day, create one at home with our simple instructions for bath salts, hair rinses and sugar scrubs.